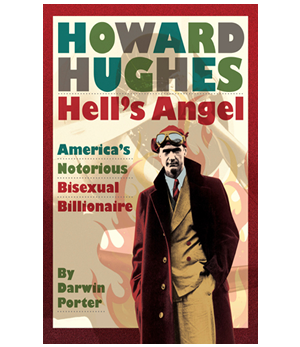 From his reckless pursuit of love as a rich teenager to his final days as a demented fossil, Howard Hughes changed the worlds of aviation and entertainment forever. This biography reveals inside details about his destructive and usually scandalous associations with other Hollywood players. Set amid descriptions of the unimaginable changes that affected America between 1905 and 1976, this critically acclaimed biography gives an insider's perspective about what money can buy—and what it can't. Runner-up for Best biography, 2010, at the Los Angeles Book Festival. Darwin Porter began his career writing about politics and the entertainment industry for Knight Newspapers and The Miami Herald. Today, he’s one of the most prolific biographers in the world. His portraits of Marilyn Monroe, Frank Sinatra, J. Edgar Hoover, Vivien Leigh, Laurence Olivier, Howard Hughes, John and Jackie Kennedy, Paul Newman, Merv Griffin, Steve McQueen, Marlon Brando, Humphrey Bogart, Katharine Hepburn, and Michael Jackson have generated widespread reviews and animated radio and blogsite commentaries worldwide. Some of his biographies have been serialized to millions of readers in The Sunday Times of London and The Mail on Sunday.